﻿ The Tongsai Bay Hotel, Koh Samui | FROM $208 - SAVE ON AGODA! "From the moment you arrive the staff makes you feel at home." Have a question for The Tongsai Bay Hotel? "Nice peaceful place to stay." "Tongsai Bay Hotel is beautiful and tranquil." "The room is huge and we love the bath tub on the balcony." "The breakfast spread was excellent!" 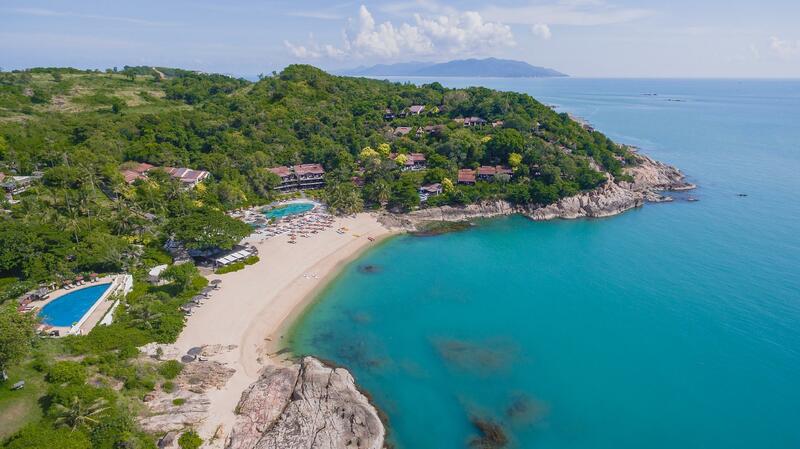 The Tongsai Bay Hotel proves itself as a perfect getaway among the natural surroundings of Samui Island. All of its 83 suites and villas are designed under the ‘Great Outdoor Living’ concept. Apart from the standard room amenities, each unit has a spacious terrace with a bathtub and other open-air facilities to ensure a perfect leisure stay. A range of facilities the resort provides to maximize guests’ enjoyment include sailing boats, canoes, windsurfs, snorkeling equipment, swimming pools, children’s wading pool, tennis court, Jacuzzi pool, and spa with sauna room and massage treatment programs. This eco-friendly resort truly offers hospitality, privacy, and a beautiful location. To book a room at The Tongsai Bay Hotel, please submit your desired dates and click to proceed. "Amazing place with in the jungle Nice and"
Complimentary bottled water is provided by hotel throughout the stay. Weather was not agreeable. It rained very hard for the 3 days we were there. Because of the wind, the ocean was very choppy and the beach was closed. That was a disappointment but nobodies fault. Only two of the three restaurants were open but the food was quite good. The breakfast spread was excellent! We had an ocean facing room and it was very very comfortable. I’ll definitely return and next will rent personal transportation so we can explore the island. Love this hotel, wonderfully private location, very close to nature, huge grounds, lots of privacy, old-fashioned in a good way. All rooms have great seaviews. Lots of stairs keep you fit but buggies available for the not so mobile. Great breakfast, and fantastic drinks. Helpful reception. Not super responsive on email but that tallies with being a tad old-fashioned. This is a wonderful family run hotel. It has a great message of being environmentally friendly. The staff is some of the most helpful and kind people I have encountered during my travels to over 30 countries. The staff takes the time out of their day to really ensure your stay is great. The food is amazing! The location and everything are wonderful and the amenities they have are top notch. The villa was beautiful as it faced the open sea and the staff were super friendly especially the 'juice lady' who made fresh fruits and recommended a good fusion for my flu. Enjoyed the Thai themed night with cultural show as we enjoyed the excellent food buffet and fruit and soap carving which was done on the spot. Just be prepared to walk a steep staircase heading to higher villas but worth the view. We stayed at Tongsai Bay for 3 nights at the end of our honeymoon. Had a fantastic stay. Accommodation was top notch and very roomy. The food was delicious and the setting was great. The staff were all excellent and made us feel so welcome. Highly recommended. 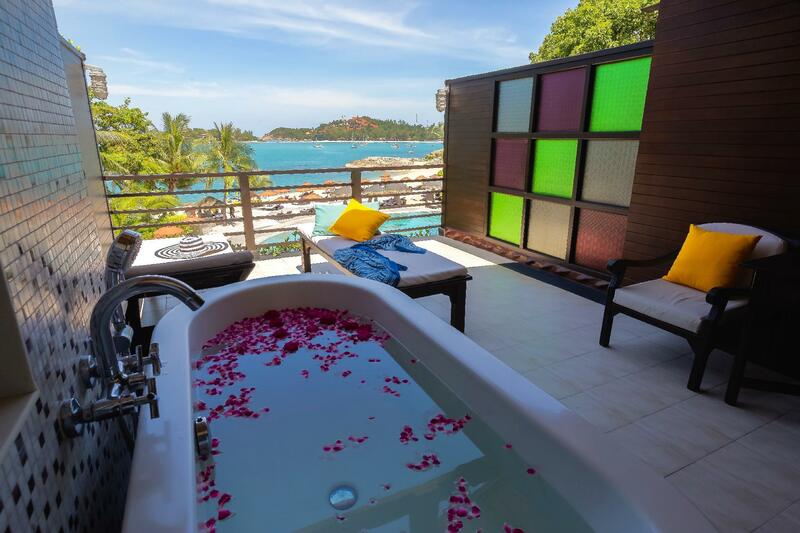 Nice spacious room with an outdoor bathtub and a spectacular view of Tongsai Bay. The hotel is beautiful and situated on a private beach and nice swimming pools (especially the half-moon pool). The staff was very friendly and courteous. One of the best hotels I've ever stayed in. Little bit far from downtown, but very nice view and familiar atmosphere. Little hot at the breakfast area. Marine activities are fantastic. Very private beach and clam ocean. Quite relaxing hotel. We stayed at the Tongsai Bay for the second time in 3 years. We loved the 9 days - the staff and the location made it a perfectly relaxed and enjoyable holiday. We like the private setting, the unintrisvness of the staff whilst still always "being ther for us", the high level of detail and care. The quality of the food and the location that makes you feel safe and gives you peace of mind. I picked this place as the "sit on a beach" portion of our trip. I wish it was the only place I booked in Thailand for our two weeks, absolutely stunning. Immediately upon arrival you realize that you are in a special place, they greet you with essential oil ice towel and a very refreshing cold tea. The concierge takes you to your room (we had a seafront cottage) and shows you all of the amenities in the room. The view off the cottage was amazing, could have stayed right there. The beach front restaurant has incredible Thai and American food. One of the best burgers and tom yum soup I had all trip. The included breakfast was AMAZING everything you could ever want, best lattes and cappuccinos I had all trip. The big difference to me were the employees. Everywhere else in Thailand people are friendly but seems to have their own agenda. Wanting to sell you something. In tongsai bay, I genuinely felt welcomed and they were very happy to see us every morning. Best resort stay of my life. We had a great time at this property, even though there was renovation going on when we stayed there. We were looking for a relaxing vacation and we got it here. Upon check-in, one of the staff took us to a cottage located up a hill with steps too steep for us to climb but after we requested for a reassignment of one near the pool, they kindly obliged to our request. I thought that because we were there during the low season, they were able to comply to our request. The food was good and the service was excellent. A great place to be. Althought its our first time in Koh Samui, we have very high expectation for our hotel in this type of resort. We are seeking a hotel with tranquility and peace throughout our stay, Tongsai Bay is exactly the perfect hotel! Hotel is clean, staff is very friendly and helpful, snacks and bottle water always get replanished, even our transport is very well arranged. Except food, not much selection, and mosquito, everything else is very well within our expectation. We will definatey visit again and highly recommended to our friends and family. Private beach is good. You can see very quiet sea. But it you wanna spend much time in Chaweng, recommend you to stay the other hotel. From hotel to Chaweng, taxi fee is 400THB. (Resort Price). In addition, all most of all rooms and facility have stairs, and slope way to the room. It is not kindness for the disable people. Plus, a lot mosquito thus we can't use outside of the bath and beds. I strongly recommend you to book beach side room. The viewpoint villa was perfect for a family with 5 adults and a 10 month old baby. The view from the villa was fantastic and service by the staff was excellent. 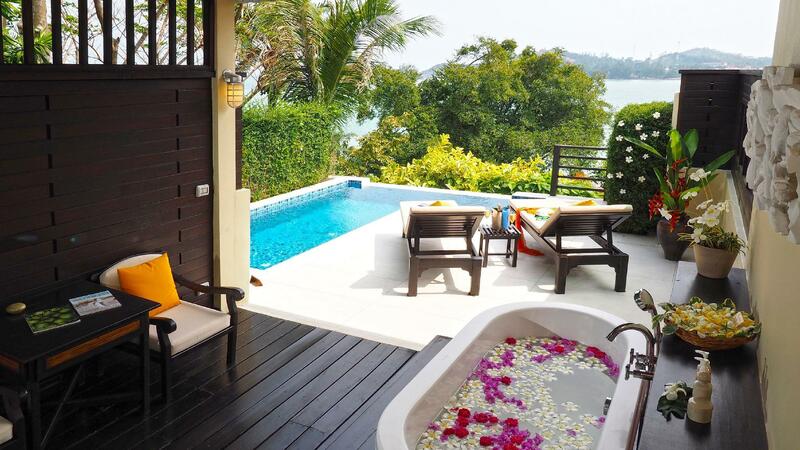 I would definitely book this hotel again when going to Koh Samui.